today's project is something i've been wanting to make for ages and now that i have one wire frame, i can't wait to make more! 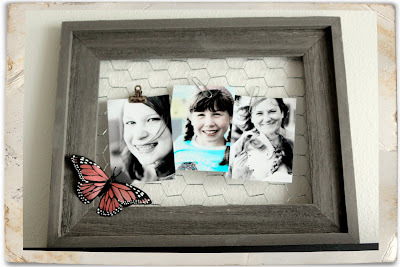 -staple chicken wire to the back of the frame. 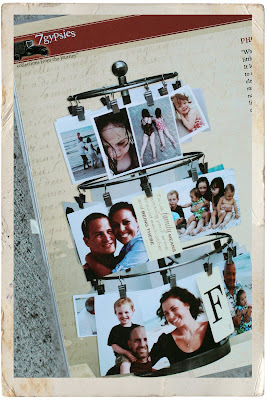 -attach photos to wire with a variety of clips. 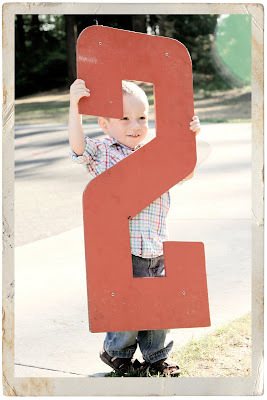 -then make another one because they are so cute you know your friends are going to want one! p.s. 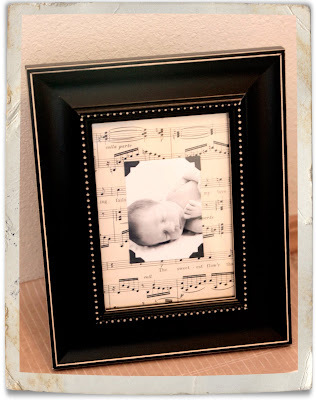 do you love the barnwood frame i used? i picked it up at my second home, treasury of memories and they have so sweetly and generously offered a second one to you! 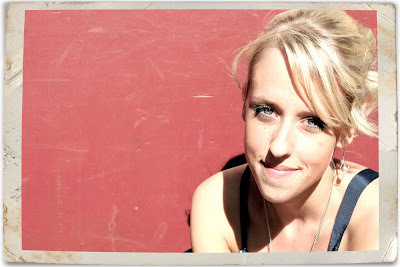 so we are going to have a little contest (our first ever here at the carlytee blog)! so just leave a comment here before monday and then i will draw a winner! p.p.s. tammy t, the pics are a little sneak peek for you. konnor is my buddy, i just adore him and his mama kim. and besides being one of my favorite people to hang out with, konnor is also one of my favorite people to photograph (i mean, just look how cute he is). these are from his 2-year-old portrait session the other day. just wanted to show off my cute buddy and give his mama a little sneak peek. -fill jar with as much sand as desired. 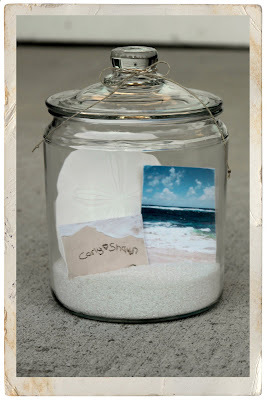 -arrange shells and photos in jar. -measure the height of your jar and trim photos to fit. 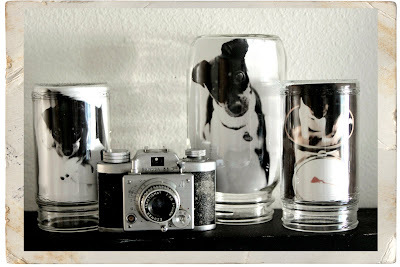 for example, in my two smaller "dressing" jars i used 3.5x5 prints but i cropped them to 3.5x4. and for my big jar (i can't even remember what that started life as) i used a 4x6 print but cropped it down to 3.75x5.5. -to place photos in jars, just roll up very slightly and slide inside so that the photo will be facing up when the jar is upside-down. if necessary, use a clean eraser end of a pencil to smooth out the corners. -turn jar upside-down and display. -cute and earth friendly, right?! p.s. isn't my little pup adorable? 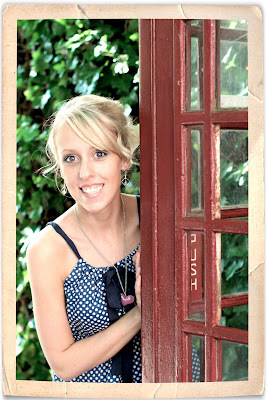 these photos are from a senior session with cassandra and isn't she such a cutie? i had a blast with her and her mama darlene. 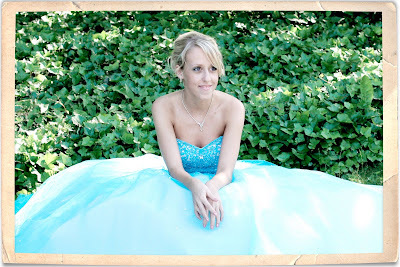 we shot some pics in the park of this beauty in her amazing prom dress (which made her look like a fairy princess and made me want to play dress-up) and then we shot some sassy ones in fairhaven. it was a super fun afternoon! this week i did something kinda nutty, kinda crazy and out there...a frame! ok, so it's not crazy at all but since i'm usually a little bored with frames, i did dress it up a bit with some vintage sheet music. and the paper part of this project is where i think you can get super creative...there's vintage sheet music like i used, or cute scrapbooking paper from treasury of memories, dictionary paper, vintage labels, fabric, pages from a textbook (my dad has been saving his college textbooks and while i hate to tell him that they are no longer reference material at least now they make awesome craft supplies)...the options are endless! -cut your "fun" paper to fit frame. -attach photo corners to photo and adhere to "fun" paper. -clean glass and put everything in frame. p.s. that's my little buddy konnor in the frame when he was a newborn. 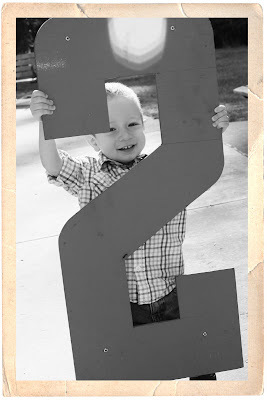 i couldn't resist using that sweet pic because we are getting ready to take his 2-year-old portraits soon. love you konnor! 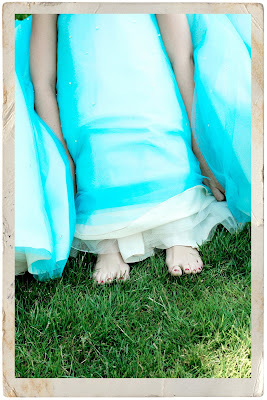 today's friday creative is not exactly creative, well at least not yet, but i loved it so much i had to share right away! this is a new product from 7gypsies that just arrived at my second home, treasury of memories. (learn more here.) it's a display that you just clip photos and memorabilia on. isn't it awesome?! i promise i'll post another picture after i get mine all put together. happy friday!